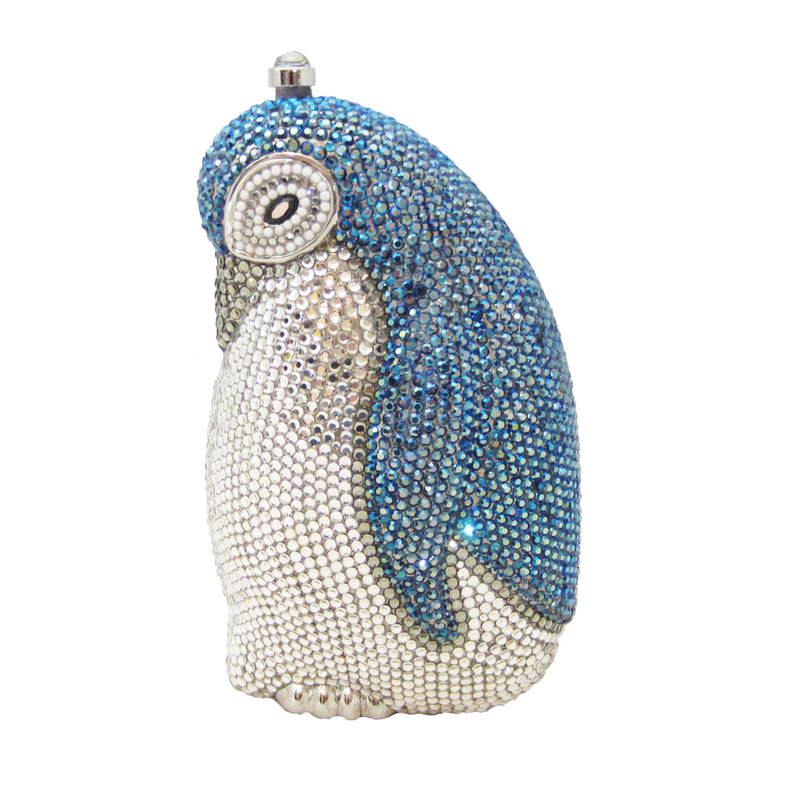 This Anthony David blue Penguin shaped evening bag has a solid metal frame that is fully covered with sapphire blue aurora borealis Swarovski crystals. It is a true gem and makes a great gift for any crystal collector! 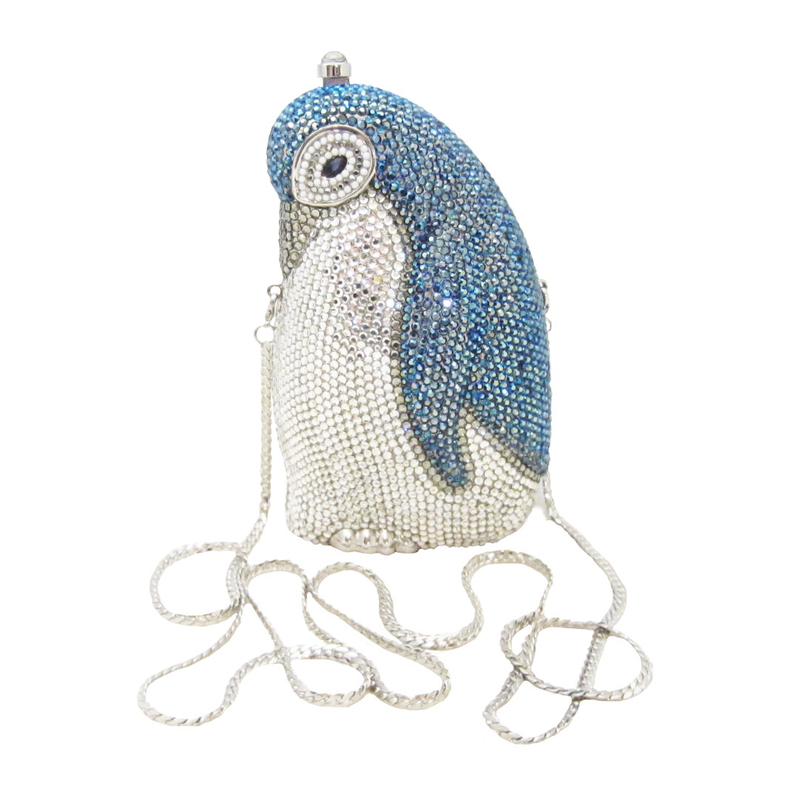 Carry this bag as a clutch handbag or wear it as a shoulder bag with the detachable shoulder chain. 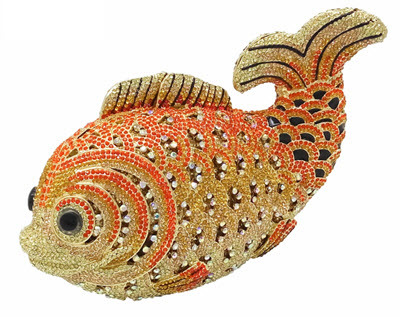 The craftsmanship in the detail on this bag is top notch and unmatched. 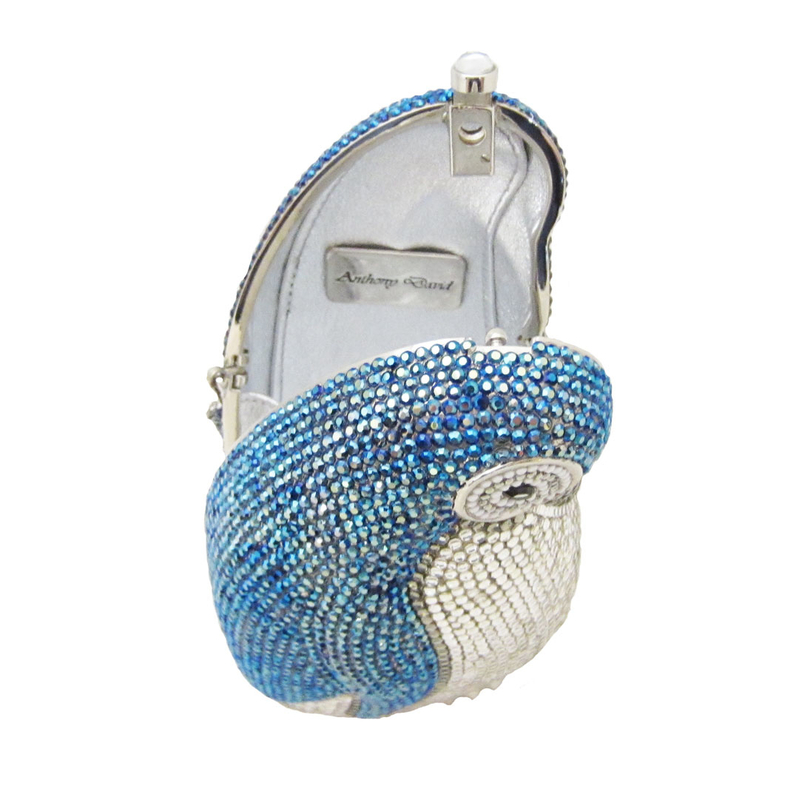 Fully covered with sapphire blue aurora borealis, clear, and pewter Swarovski crystals. Solid brass frame and chain with a silver plated finish. 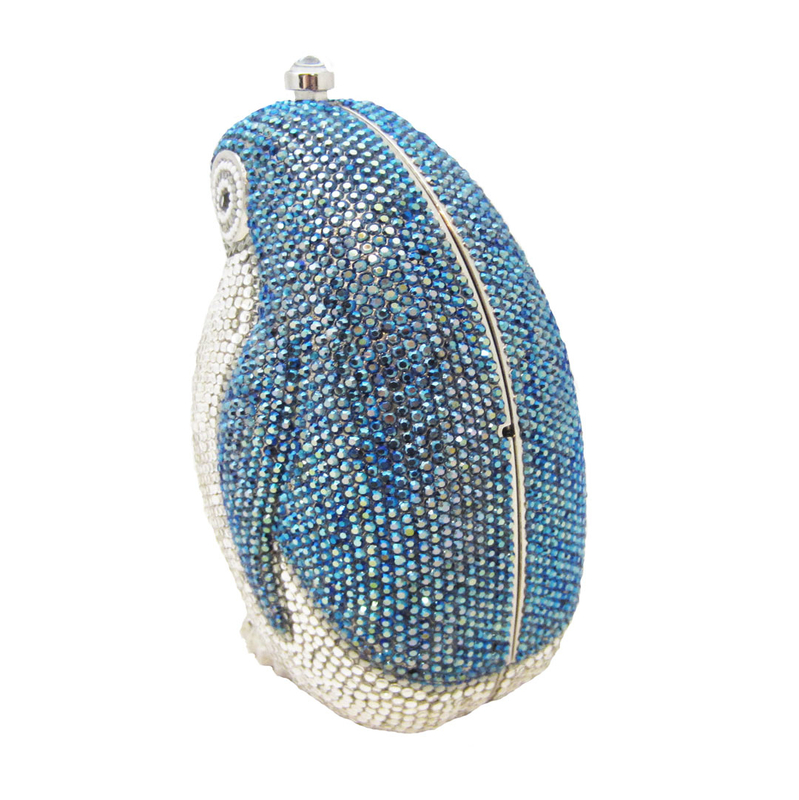 See all of our animal shaped crystal evening bags.